New Year holidays are approaching. It means that the streets of the cities will shine with colored lights, the squares will be decorated with Christmas trees, the townsfolk will look happier, and the air will be filled by the atmosphere of magic and fairy tales. In this article, we will tell you where to meet the new year in each of the cities of our small but so cozy and hospitable country! During the winter holidays, Minsk becomes like a small town from a fairy tale. The streets are filled with snowmen and lanterns, and a large and beautiful Christmas tree appears on the main square. 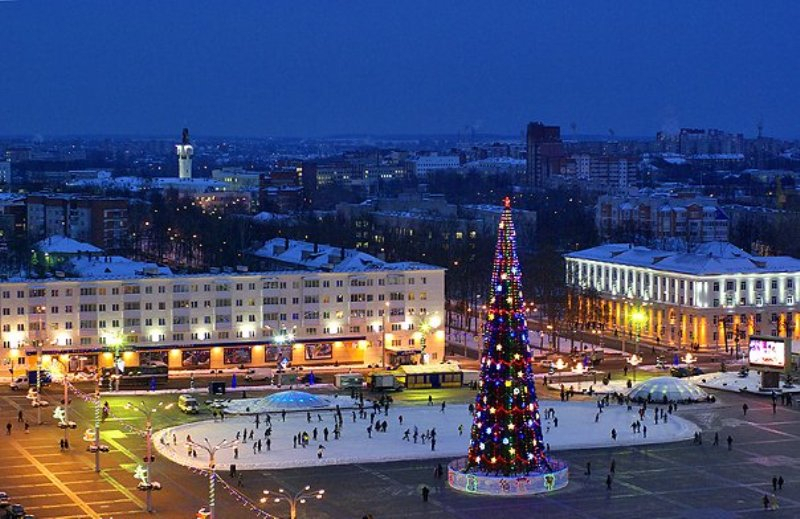 New Year’s holidays are held in the central part of Minsk, where most of the sights are concentrated. There are all sorts of fairs and markets where you can buy gifts for close people. Also, there are folk festivities with fireworks and concerts of favorite bands. For the guests, there are always open the doors of restaurants, which provide interesting shows in the New Year’s Eve. If you want, you can see the surroundings of the city, visit various excursions, go skating and skiing. 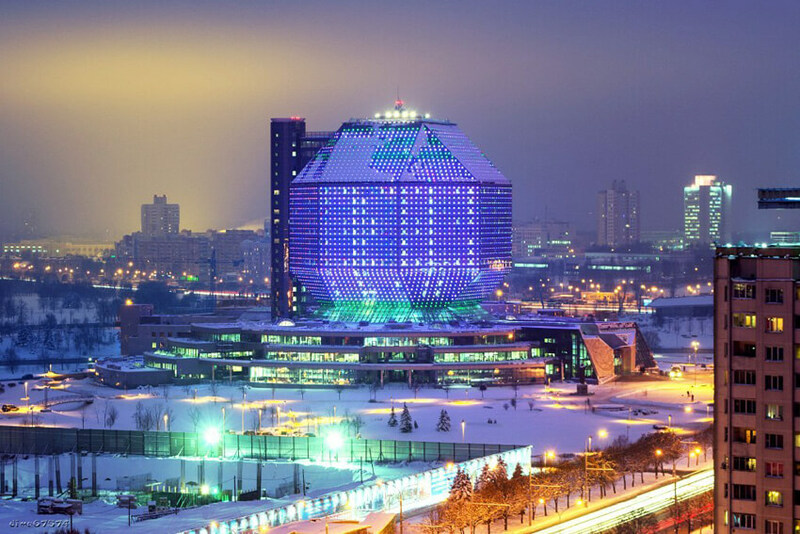 If you are looking for a place to stay in Minsk for New Year’s holidays, then pay attention to our top of hotels. All travelers who can’t imagine their rest without beauties of nature should visit Belovezhskaya Pushcha. This unique park occupies a huge area, during the New Year holidays it becomes a favorite place for walking among children and adults. In addition, in the vicinity of the city, there are several recreation centers and boarding houses, which open their doors for guests on the eve of New Year’s holidays. 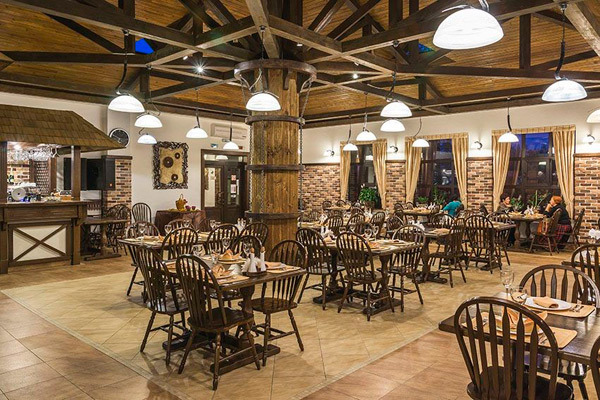 “Vladimirskaya Usad’ba”, “Yuriev Khutor”, agricultural estate “Tri kolodtsa”, the manor “Derevenskiy Rai” and many other hotel complexes are ready to offer all residents and guests of the country a number of additional services. These include winter fishing, hunting, walking in the woods, riding horses, skiing, skating, and snowmobiling. A Christmas tree on Lenin Square in Grodno traditionally gathers around itself lovers to celebrate New Year’s Eve with volleys of city fireworks. The New Year’s Eve party will continue in the morning with mass festivals for children and adults, as well as a Christmas trade fair where you can buy everything from sweet souvenirs to hot pies. On New Year’s Eve the city public transport will work till the morning, therefore there are no problems with how to get to the center and return back. New Year’s show program includes many interesting events that are worthy of seeing them live. If you plan to spend a New Year’s Eve in a restaurant, we recommend the “Kronon Park Hotel”. The place is located in a protected forest on the outskirts of the city of Grodno. A unique atmosphere of the holiday, congratulation from Santa Claus and festive fireworks – all this is waiting for you in the restaurant “Kronon Park Hotel”. There you can rent a luxurious room to spend a holiday weekend, surrounded by winter woods and refined interiors. 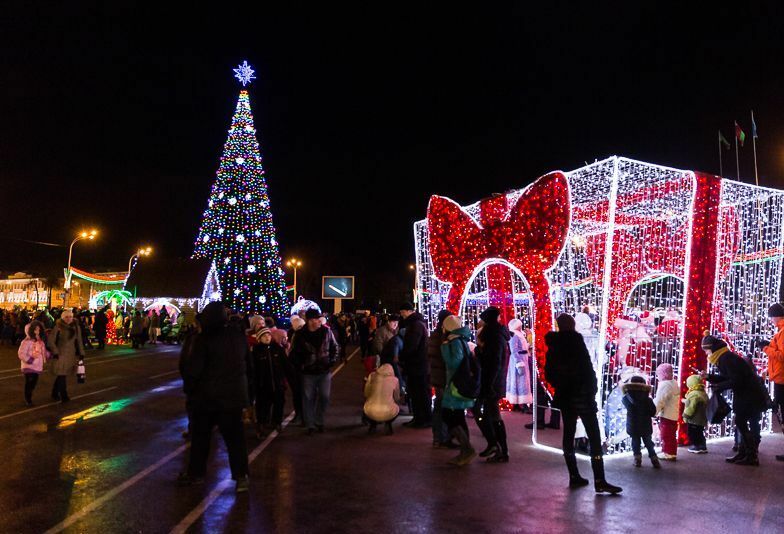 To celebrate the New Year of 2019 in the cultural capital of Belarus, you can go to the main square of Gomel. Moreover, after the battle of the clock, the whole motley crowd will walk right on the square or go along the streets of the city. Here, people dressed as Santa Claus and Snow Maiden will celebrate you just for fun. Do not stand aside, it’s better to join them! Or you can dress yourself up in the costume of a good wizard or fairy-tale character. Fans of cultural recreation will certainly enjoy a rich theater program, matinees and various circus performances, some of which are arranged right on the streets. 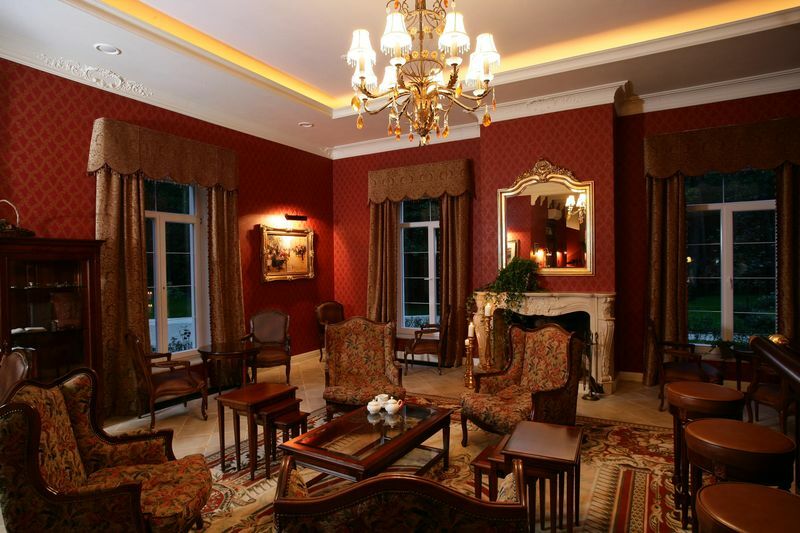 We also recommend spending a New Year’s Eve in the Park Hotel “Zamkovy” – the most luxurious hotel in Gomel. The hotel is located in the palace and park zone of the historical and cultural center of the city, 200 meters from the picturesque shore of the Sozh River. Directly on the night of the 31st on the 1st Victory Square near the Christmas tree, everyone is invited to take part in the festive program. It starts at 1 am, at 2 am – traditional fireworks, and then until 4 am – dancing and a great mood! Music and entertainment programs will be held in all micro districts of Vitebsk. Christmas celebrations will be held on January 7 from 11.00 to 21.00 on the main city sites. Also worth mentioning about the bakery “Biscuit” that opened just a year ago in Krylov Street. The bakery “Biscuit” offers you to treat yourself to tea, coffee, and fresh pastries, cakes, which are also prepared here. A cozy establishment with a homely atmosphere of only 20 seats has already attracted the attention of lovers pleasantly and deliciously to spend time in a warm little company or with the family. According to one of the founders and confectioner, now they have launched an unusual action, “to improve the degree of kindness in people.” And what kind of action they came up with – we propose to learn independently? In Mogilev, there is one unique place, loved by many residents and guests of the city. Visit the “Chalet” restaurant, on New Year’s Eve ,it is especially good! Although the “Chalet” is not in the most passable place, the natural landscape and wonderful summerhouses create a magical atmosphere. It is in the “Chalet” that the warm, cozy atmosphere reigns and the menu will be liked even by the most fastidious gourmets. 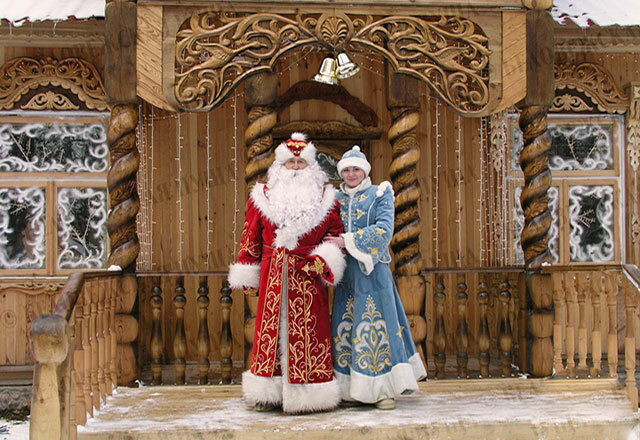 If you celebrate the New Year in the city you are not interested, then visit the numerous agro-sports, sanatoria and recreation centers of the Mogilev region, annually they invite you to your New Year’s holidays. And many of them not only provide places for celebrations but also organize treats and entertainment. But be prepared that such a holiday will cost you from 100 rubles per person and above. We recommend the estate “Russian Yard”, which is 9 km from Mogilev. Prices here are democratic, and the atmosphere will please everyone. We hope that our article will help you choose the best place to celebrate Christmas and New Year holidays. We wish you a pleasant stay in the circle of friends and relatives, and also congratulate you with the coming New Year!